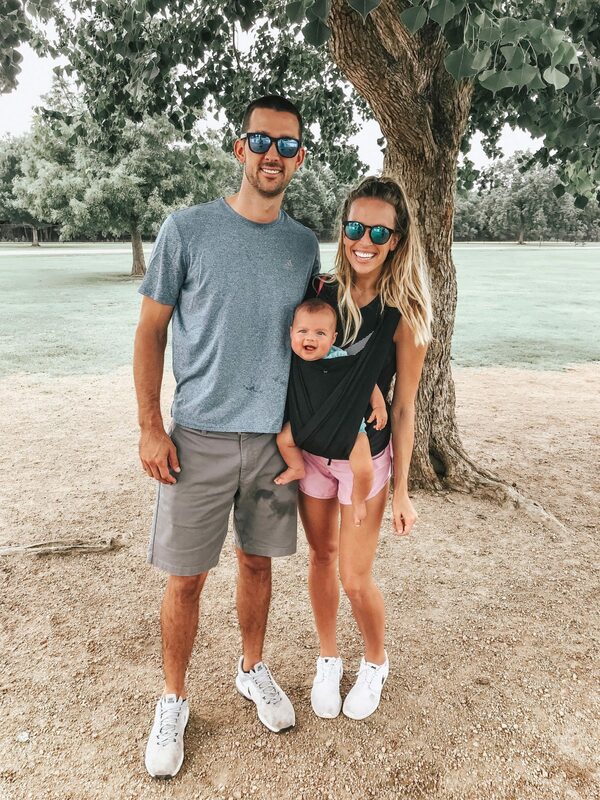 I seriously LOVE sharing my favorite things with y’all, whether it’s an adorable new top or something that has been a lifesaver when it comes to Hayes! 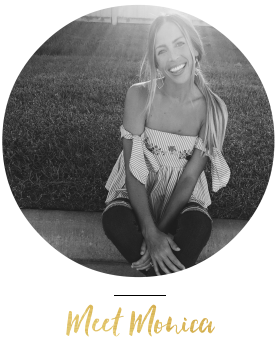 There’s nothing that makes me happier than receiving messages and emails from y’all thanking me for recommending items and sending me photos of you wearing clothing I shared or using a product that I suggested…basically, y’all rock and bring so much joy to my life every single day! The #1 most purchased item were THESE baby high tops…& I’m honestly not surprised. 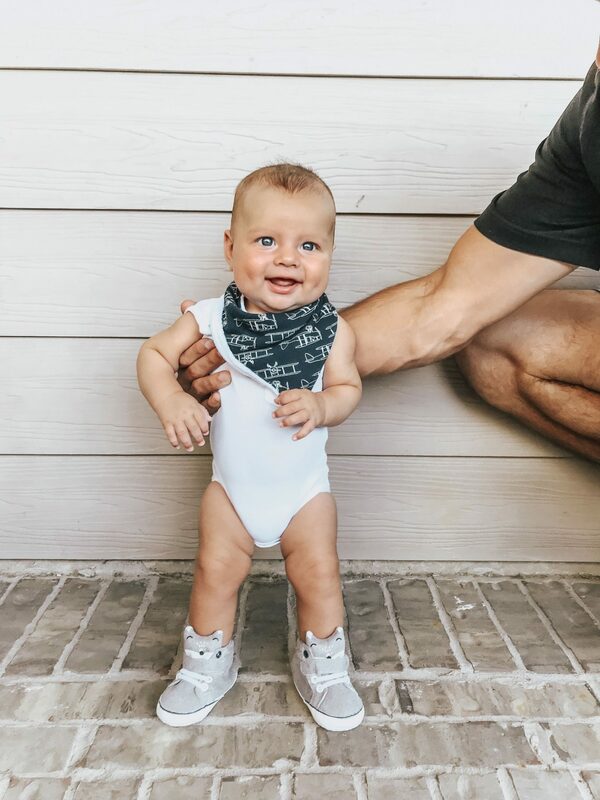 There’s nothing better than a pair of chunky baby legs in some adorable high tops! The 2nd most purchased item was this ASOS Cami and I’m literally about to purchase it in every color! It is the perfect light weight Summer top and also great for nursing! They are selling out fast so if you love it, DO NOT wait to grab one! On to #3, Y’all went crazy over this top when I shared it on insta stories with my Trunk Club!! I’ve already worn it about 10 times and I’ve had it less than 2 weeks…so, needless to say I’m not surprised at all that y’all loved this one! 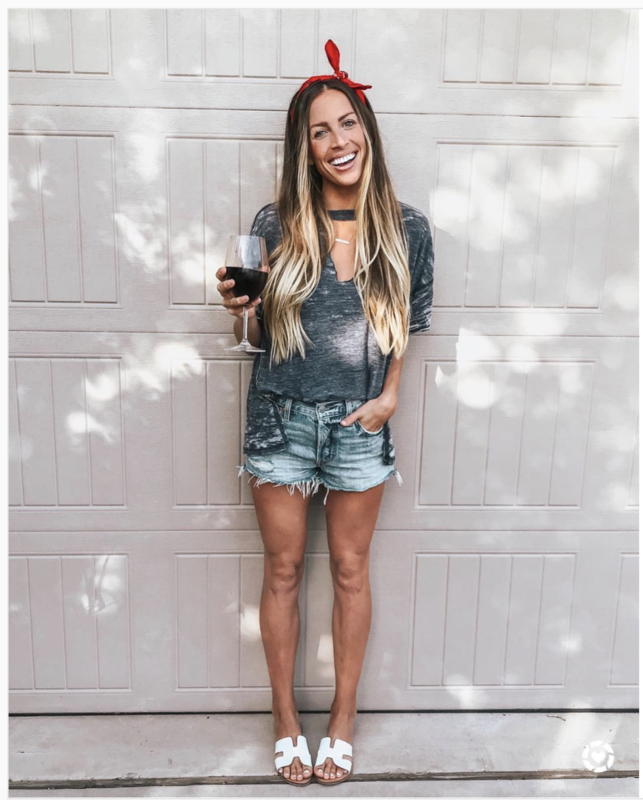 If I were to suggest one item to purchase from this entire list it would DEFINITELY be this top! #4 Is this one piece swimmy from Target! This was the first swimsuit I wore postpartum and I honestly felt SO comfortable in it and couldn’t recommend it more! The scallops are so incredibly flattering and the floral print hides that postpartum bump that no one really wants to show off! #5 is probably my favorite purchase of the Summer…I’ve been wearing these slides with EVERYTHING. Shorts, jeans, yoga pants, skirts…you name it! They are, hands down, my new FAV slides. #6 is this adorable bralette! 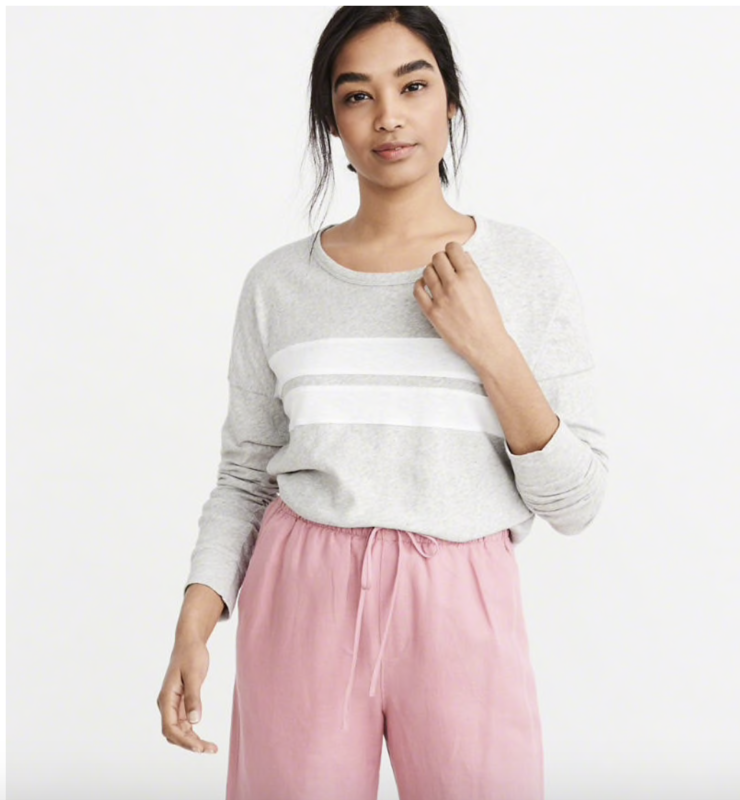 (pictured above) I had been eyeing this one for months and didn’t end up purchasing it until it arrived in one of my Trunks and I was able to actually try it on…It was a no brainer once I saw how adorable it was in person! #7 is this Boppy Baby Carrier. Anytime I share a story wearing Hayes in this I get at least 15 DMs asking about it! So to answer some of your questions…YES we absolutely love it, YES it’s so easy to use (literally takes a few seconds to put on) YES Kyle can wear it! and YES I 100% highly recommend it. I’ve received a ton of messages from you thanking me for recommending this carrier! So GRAB ONE, you won’t regret it! #9 is this Free People tank! It’s crazy comfy, great for nursing & comes in 5 different colors! 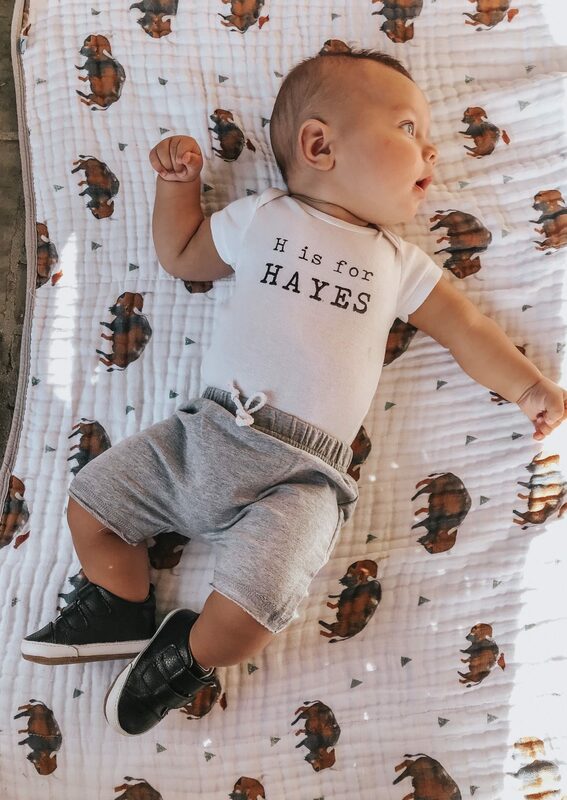 and last but not least #10, Hayes’s alphabet onesie! This was such a huge hit when we shared it. Anytime Hayes wears it when we go out we’re constantly getting compliments & asked where it’s from! so you can see what items I am loving & what my readers have purchased & are loving as well! Thanks so much for stopping by, Have a great Tuesday babes! !